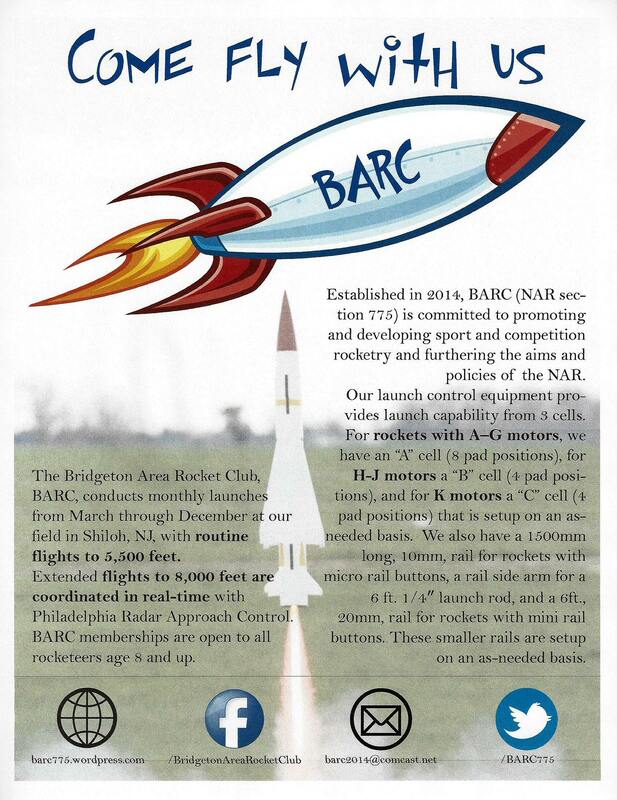 11/24/18 Due to the unprecedented loss of 2018 launches, BARC is waiving the 2019 launch fee for existing members. This offer does not apply to new members or late renewals (after January 16, 2019). 09/12/18 BARC President gives 2 year advance notice of position resignation – 2020 will be the last year for the current president. 07/19/18 BARC will implement the following 1/4″ Launch lug use policy with the first 2019 launch. 07/18/18 Blue Origin’s Mission 9 launch (~55 min. long) covers the live launch (into space) and upright recovery test of the rocket booster & capsule – live video with altitude & speed displays! 07/18/18 The BARC club meeting start time has been changed to 6:30PM. 05/12/18 As a result of a ballistic rocket impact near the property owner’s residence, BARC implemented these corrective actions in order to preserve our launch privileges. 05/02/18 Please report any rocket motor failure using the MESS form linked on the Tech page, or at motorcato.org. 04/10/18 BARC membership categories revised to offer more flexibility and an under 14 “fly for free” provision. 01/01/18 BARC adds 4 bonus launches to its annual launch schedule. 09/23/17 BARC adds a 1515 rail to its launch equipment inventory to be used IAW this policy. 08/26/17 BARC launches its first Level 3 HPR (Al Kozin’s Formula 150) using an AT M1500 motor to record setting altitude (6,896 ft.). 04/14/17 BARC has a 4″ club logo vinyl sticker – $5 each, or 5 stickers for $20. 02/10/17 BARC now has an information flyer that can distributed at gatherings and events. 01/18/17 BARC implemented a Winter Launch Shutdown period, and lowered the MDRM Challenge #2 contest altitude to 5,000 ft.
11/19/16 The student AIAA chapter team from Northeastern University traveled 6 hours from the Boston, MA area to launch their 94″, 20.8 lb. rocket at BARC‘s launch site. 10/28/16 BARC announces its next rocket competition for May 2017 – based on the Estes Mega Der Red Max (MDRM) – Pro Series II. Contest rules and requirements are listed in this document. 10/15/16 BARC’s Big Daddy contest was held on a great launch day. Noah S. won the Stock contest and Mike Z. won the Unlimited contest. 10/11/16 BARC now has the capability to accept membership fees via PayPal. Please refer to the new Membership page for details. 08/20/16 BARC now has a 1/4″ launch rod 1010 rail side arm rail adapter, and a 10mm launch rail for rockets with micro rail buttons built by Brian Schenkenberger. 08/11/16 BARC will hold its first theme launch October 15th based on the Estes Big Daddy rocket. The contest for BARC members will have two categories – Stock & Unlimited. 07/15/16 Congratulations to the Odle Middle School (Bellevue, WA) TARC team of 8th graders, who won the 2016 International Youth Rocketry Challenge. 06/05/16 Due to a NAR/TRA safety concern, effective immediately, electronic deployment is required for all flights using CTI Vmax motors. 06/02/16 BARC‘s waiver revised: Base flights to 5,500 ft. & extended flights to 8,000 ft. when coordinated in real-time with Philadelphia Radar Approach Control (Re: BARC Extended Altitude Flight Protocol). 05/26/16 CTI statement related to their March 2016 production facility accident. 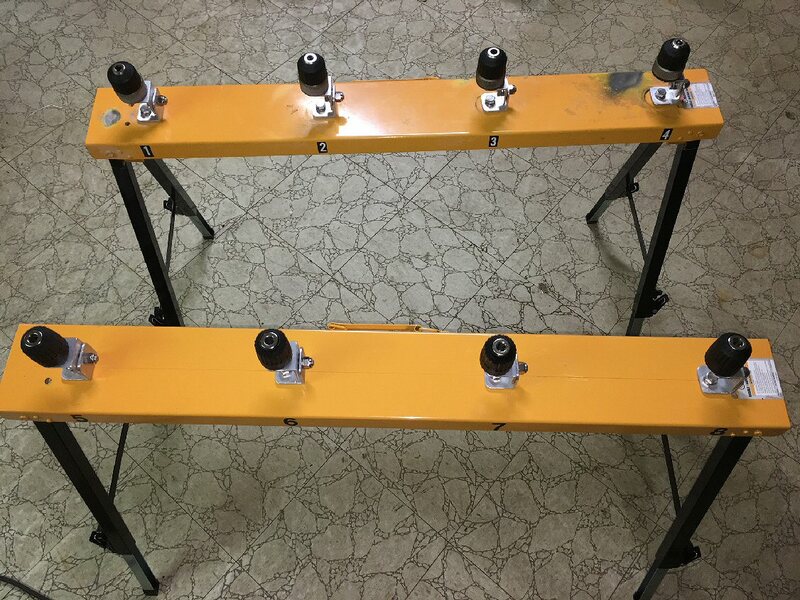 04/17/16 Two new 8′ 1010 rails added to our equipment inventory. 04/02/16 Thanks to members Blair Monagle & Gary Hewitt, BARC now has 4 more “A” rack launch pads, with adjustable rod mounts. 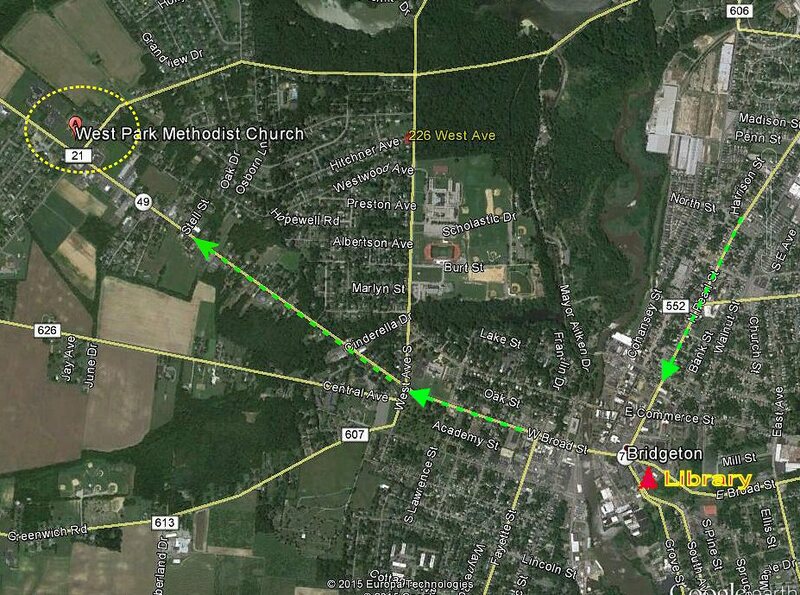 02/16/16 Teams from both Rowan University and Edgarton Christian Academy are planning to conduct test flights at the BARC February 20th launch. 01/29/16 Beginning with the Feb. 20th launch, BARC will be implementing a “Rain Date” policy – a backup launch date 1 week following a normally scheduled launch date. Actual dates will be listed on the Launch Day website page. 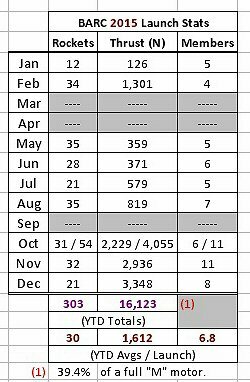 12/30/15 2015 BARC website stats now available; a 3rd Pad Cell controller and cables now allow “K” motor rocket launches. 12/17/15 BARC now has a Twitter account for our followers: @BARC775. 12/14/15 2015 Year-end Launch Stats – HPR flights started October. 11/10/15 Beginning 12/16/15 BARC‘s meeting location changes to the West Park Methodist Church.